Herbal supplements such as gingko biloba and ginseng sold at four major US retailers contained ingredients -- including potential allergens -- not listed on the packaging, according to a report from the New York State attorney general’s office. The damning investigation of store-brand supplements at GNC, Target, Walgreens, and Wal-Mart has triggered four cease-and-desist letters to the retailers calling on them to halt sales of seven dietary supplements, including echinacea, garlic, gingko biloba, ginseng, saw palmetto, St. John’s wort, and valerian root. 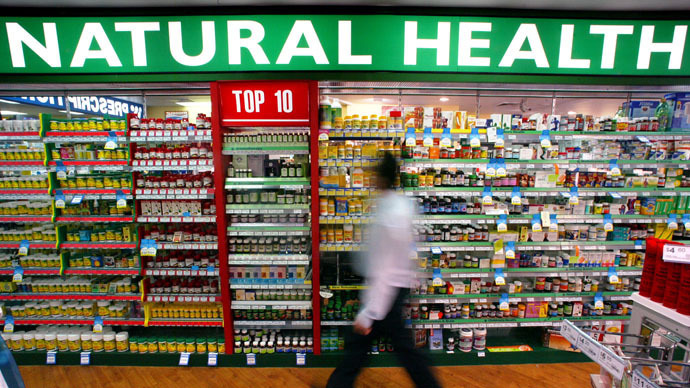 “Contamination, substitution and falsely labeling herbal products constitute deceptive business practices and, more importantly, present considerable health risks for consumers,” said the letters, first reported by the New York Times. The New York State attorney general’s office tested the products using a process called DNA barcoding, which assesses ingredients through their genetic makeup. The investigators tested 24 products that claimed to contain the seven herbs. All products but five contained DNA that was either indistinguishable or from a plant not included on a products’ ingredient list. Five of the 24 products contained wheat and two contained beans -- both common allergens -- without identifying those ingredients on the product label. Wal-Mart fared worst in the tests. All six of its supplements tested were found to have extra ingredients not listed on packaging. Target’s products came out looking the best, but even the tests of its products only showed one of six supplements had a completely accurate ingredient listing. The results of the study were so lopsided that they are hard to accept, Pieter Cohen, Harvard Medical School assistant professor and expert on the supplement industry, told the New York Times, adding that some ingredient DNA could have been destroyed during product manufacturing. Walgreens told the New York Times it would take the products out of its stores nationwide. Wal-Mart and GNC said the companies would eventually respond “appropriately” to the investigation. Target did not respond to requests for comment. The investigation highlighted a blatant and perplexing regulatory loophole in the dietary supplement industry. Since supplements are considered neither food nor drug, their regulation is haphazard. The US government demands companies offer a safe, accurately-labeled product, but the US Food and Drug Administration (FDA) does not have adequate power to hold companies to the rule. In 2012, the US Department of Health and Human Services (HHS) issued a report excoriating supplement-maker’s often less-than-scientific claims about their products. HHS called on the FDA to attain “explicit statutory authority to review substantiation for structure/function claims,” or the same kind of scrutiny applied to drugs. Also in 2012, a report in the the Journal of the American Medical Association voiced concern over “adverse events” that could come from under-regulation of the supplement industry. The New York attorney general’s office cited in its cease-and-desist letters a 2013 Canadian study of 44 common supplements that found one-third of the tested products contained no sign of the herb touted on the label. That study “alerted the dietary supplement industry to the fact that it is not providing the public with authentic products without substitution, contamination or fillers. It is disappointing that over a year later the attorney general’s researcher reached similar conclusions,” the New York attorney general’s office wrote. Supplements have been associated with kidney failure, hepatitis, and other health problems in recent years.